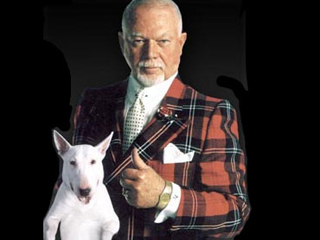 Love him or hate him, Don Cherry, "humble" star of Coach's Corner, is part of the fabric that is Hockey Night in Canada. Millions of viewers tune in just to watch King Don espouse his opinions. His outspoken support of the Armed Forces and animal rights make him hard to hate. 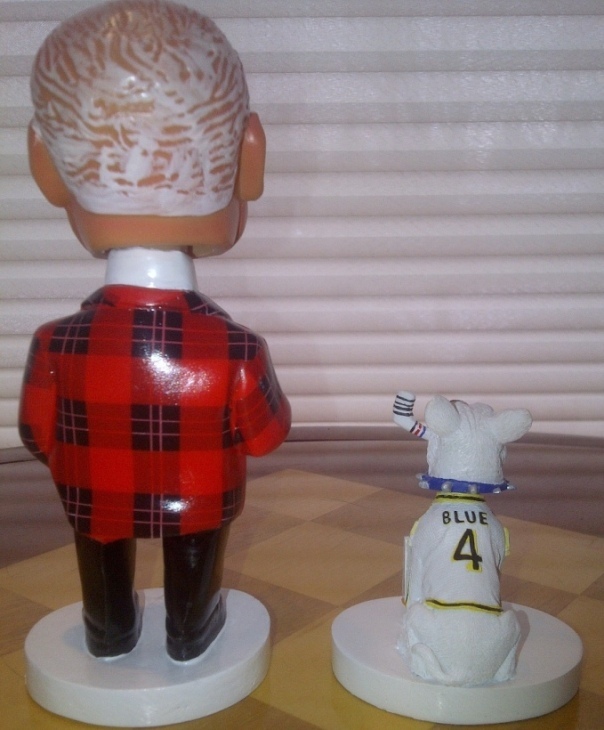 Now you can collect this Canadian icon and his departed faithful companion Blue. He's toned down his attire a tad, giving you the thumbs up and Blue is wearing his favorite player's (Bobby Orr) #4. Made of resin and detailed to perfection, these Bobbleheads are a great gift item. 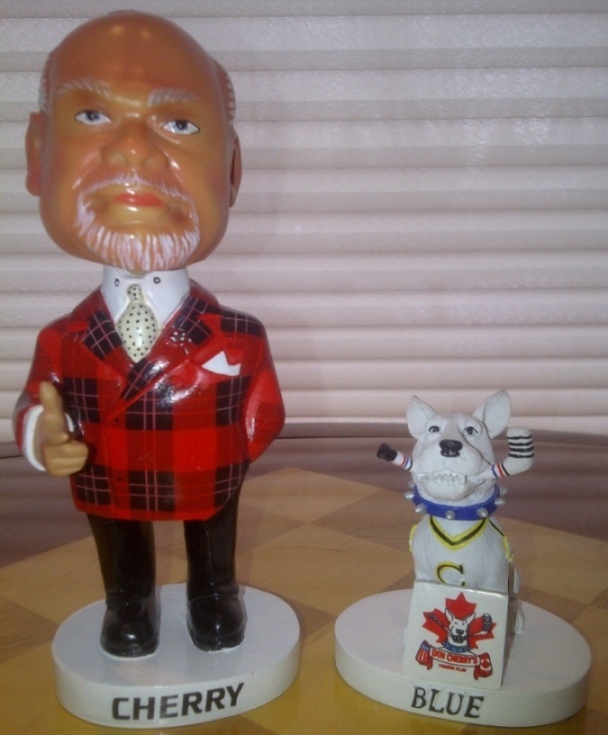 Guaranteed to become valuable collectibles once the old boy retires or CBC pulls the plug! Get your set today!